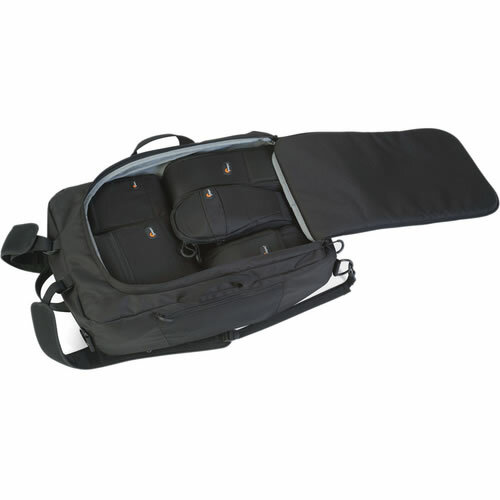 The Lowepro S&F Transport Duffle Backpack (Black) is designed to carry a complete set of work ready S&F modular accessories with the gear inside. 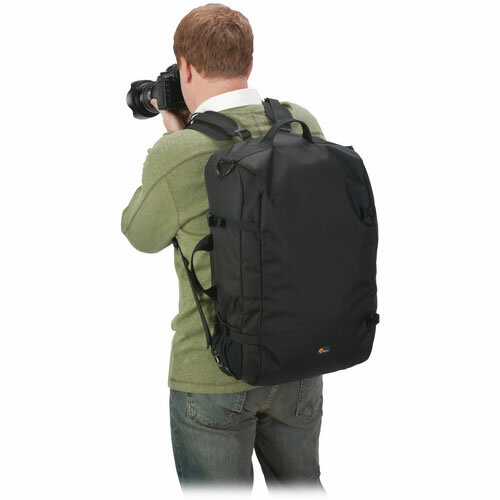 The pack has exterior compression straps and a tripod foot pocket that holds a tripod or monopod. 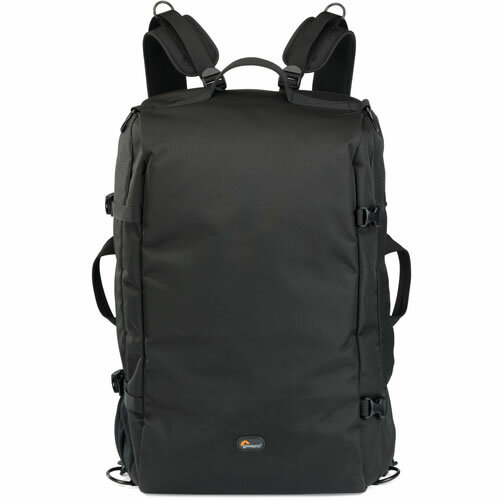 The Lowepro S&F Transport Duffle Backpack (Black) is designed to carry a complete set of work ready S&F modular accessories with the gear inside. 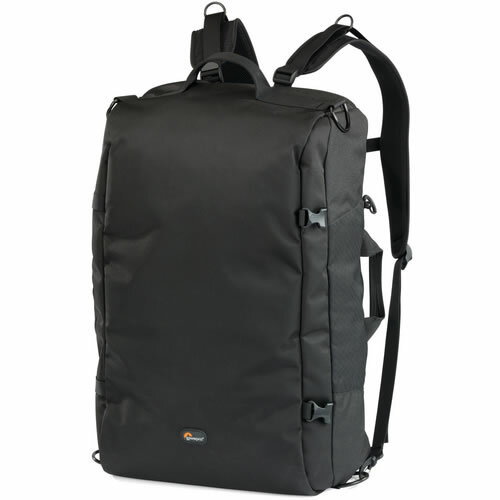 The pack has exterior compression straps and a tripod foot pocket that holds a tripod or monopod on the exterior. It can also be used to roll up the pack. 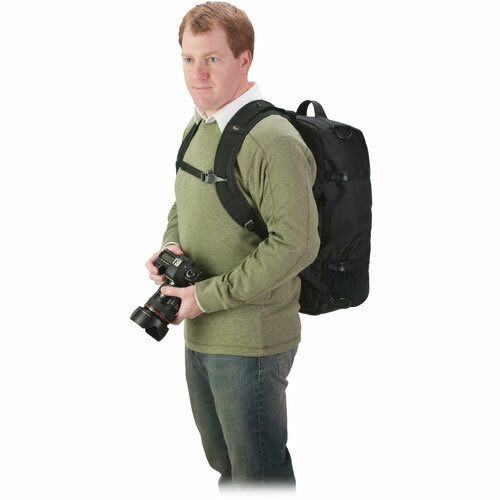 The backpack has a water-resistant exterior. 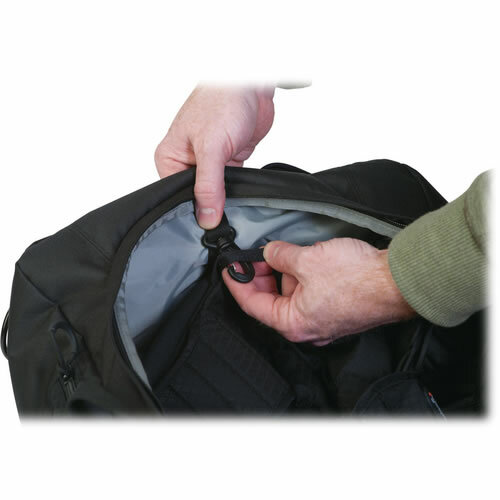 There are interior SlipLock attachment loops to help secure and organize the S&F pouches, bags, vests, harnesses and belts. 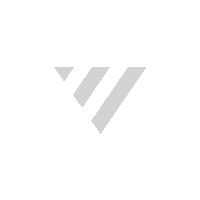 An interior top clip secures an S&F vest or harness to the backpack. There is an interior compression straps to provide extra stability and security of the inside load. A large, padded back panel offers full access to the main compartment when opened, plus comfort and security when in motion. It doubles as a kneeling or sitting pad. 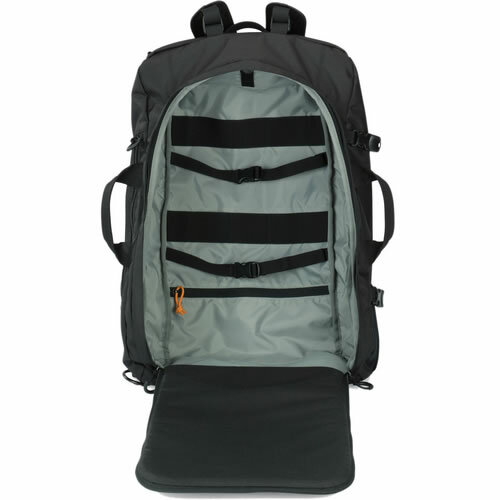 The pack is carried by a top carrying handle, 2 side carrying handles or removable, adjustable straps that can be worn as a backpack or sling.